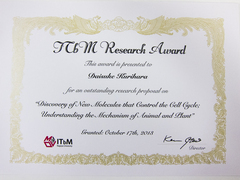 [News] Dr. Daisuke Kurihara won the ITbM Research Award of this year! 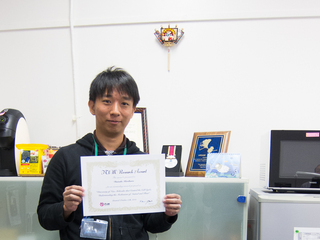 Dr. Kurihara, Group Leader of Optical Technology Group, won the ITbM Research Award of this year for an outstanding research proposal. 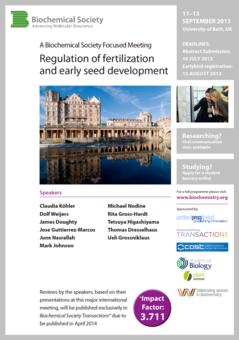 [News] Higashiyama Research Director gave invited presentations at "Regulation of Fertilization and Early Seed Development" and "SFB924: conference 2013"
Higashiyama Research Director gave invited presentations. 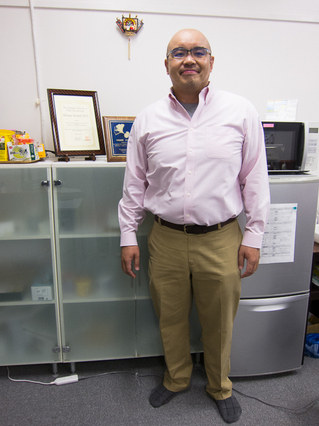 Dr. Ryushiro Kasahara was selected for the PRESTO Sakigake program of The Japan Science and Technology Agency (JST). According to this, he leaft our project and joined JST and WPI-ITbM project from Oct. 1.